What’s the link between UK gilts, metal prices and £/$? Not a lot at first glance, but they have all followed the same cycle since 2008. All three have proven to be risk-on, risk-off assets. The answer is global economic growth. However, if it is indeed global economic growth that is the common denominator, one would expect global equities to track the same cycle, and they have – except for early 2013 when the Fed launched QE3 ($), and earlier this year when the ECB launched QE1 (€). In other words, central bank action has had the effect of de-linking equities from the global growth cycle, as equity investors have chosen to blatantly ignore the fall in global trade in favour of more risk-taking at the back of accommodating central banks. Risk-on, risk-off has miraculously turned into risk-on, risk-on. “Don’t fight the Fed”, as they say, and equity investors have obviously chosen not to. 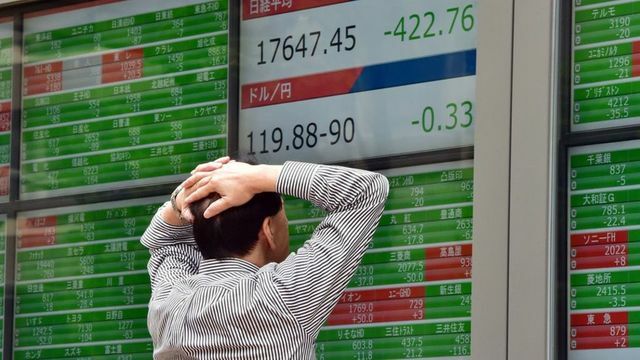 Markets saw falls of between 7% and 15% over the three months with the Shanghai index falling furthest, down 25%. Confidence in stocks has been hit by the crisis in Greece, the Chinese slowdown and the threat of higher interest rates. However, most markets ended the month with a final flourish, some making gains for the single day of over 2%.